Les nouveaux joueurs seulement. Parier se produit à partir de l'équilibre réel premier. 50x pariant la prime, la contribution peut varier par match. Disponible uniquement sur les jeux sélectionnés. L'exigence de pari est calculé sur les paris bonus seulement. Bonus est valable pour 30 jours de l'émission. conversion Max: 5 fois le montant du bonus. Conditions applicables complètes. Strictly Cash Casino is the leading online casino in the UK which has a collection of latest slots, jackpots, and casino games. Our casino has great categories and awesome features for all the players. Scratch Cards at Strictly Cash Casino are the best in the lot. We offer the scratch cards that are highly engaging and have an amazing gameplay. With the craze of Scratch Cards game at the online casinos, we now offer all the popular games to suit your gaming needs. Germinator, Dawn of the Bread, Six Shooter Looter, Irish Eyes 2 Scratch, and Ramesses Riches Scratch are few of the scratch card games offered at our casino. You will love all the scratch cards that we have at our casino and play these games for fun or play using real cash. Strictly Cash Casino is an awesome recreational destination for all the casino players. We are licensed by the UK Gambling Commission and follow safe gambling procedures. Register now at our casino and enjoy a fantastic 100% welcome bonus up to £200. There are many other weekly and monthly promotions for all the players. We also have a VIP lounge exclusively for all the loyal players of our casino. Pick the right game and enjoy playing it. Scratch Cards are easy to play all you need to do is scratch the hidden cards to check the rewards. The cards can be scratched all at a time and if you get identical symbols in a combination you could win surprising cash rewards. These games do not follow a set pattern and all you are required to do is just keep scratching the cards and see the hidden rewards. Just keep in mind that you need get the combinations right to win the multiplier awards. It also comprises of coin sizes that you can choose to place a bet. Most of the games have smaller coin sizes that can be used to win bigger awards at a minimum investment. You have an opportunity to win multipliers ranging from x1 up to x1, 000. These Fantastic games carry simple graphics yet they can be repeatedly played. Make sure you play all our games in a play for fun mode at our casino or you can play for real money. 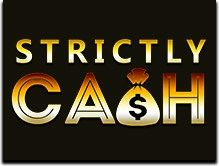 You can register for free at Strictly Cash Casino and play some of the top notch scratch cards such as Bunny Boiler Gold, The Codfather Scratch, and Foxin Wins. We are offering a great 100% welcome bonus up to £200 exclusively for all the new players. Copyright © 2018, strictement en espèces Tous droits réservés.